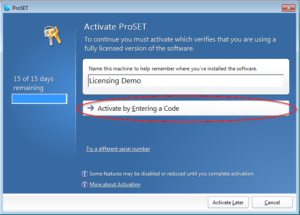 License activation is a three-stage process. The serial number must be activated by linking the serial number to your machine. 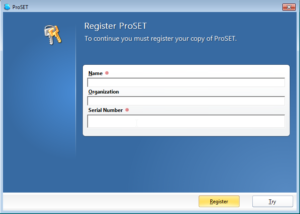 ProSET can be deactivated, allowing you to transfer your license to a new machine. 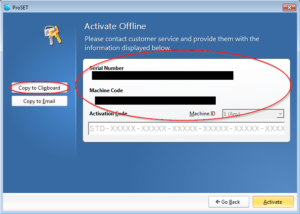 and then clicking on Deactivate under License. A new serial number will be issued for the remainder of the license period. and then clicking on Extend under License. 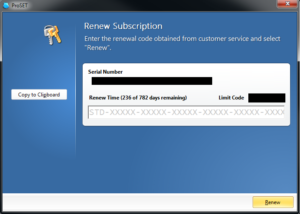 We send you a Renewal Code. 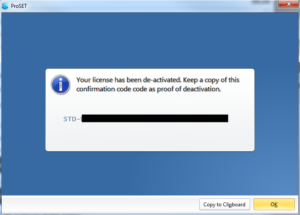 Click Renew to complete license extension.